I’ve been thinking about writing this post for weeks. I wanted to wait until I had everything settled in my mind and heart and that my team had given me the a-okay to move forward with this. Some of you have been worried as I’ve mentioned the “big changes” that I was going to stop blogging. When I started December212012.info, I had every intention of having it be a side thing that I did in addition to other blogs and online things. However, I never expected that it would blow up like it did and become our family’s full-time income. Within two years, I had shut down all of my other online things and blogs (yes, I used to have two other blogs), because MSM was requiring every single bit of time I had to give it. That worked well for a while. I was in a season of change personally and focusing on just talking about saving money online gave me space to step back and process other beliefs and convictions that I had once held and had blogged about (those of you who read my earlier blogs know what I’m talking about!!). But after about two years of that quiet season, I had various things I wanted to write about that weren’t related to saving money. Since December212012.info was my only online platform, I shared some of those things here. Over time, as I had more and more things I wanted to write on, this blog became more of a scattered, random conglomeration of my personal thoughts and passions and interests. And it strayed from the original purpose of helping people save money. You all have been along for the wild ride. And you’ve been gracious and kind. You’ve rarely complained, but I know that it’s been confusing to some people. I know many people have wondered: Why is a blog called December212012.info talking about things that have nothing to do with saving money? On the one hand, I know I can’t confine myself to just writing about money topics. I would get bored very quickly with that. But on the other hand, it’s important that I define what this blog is about — and that people know what they can expect when they come here. However, if I re-focus this blog back to its original purpose and only share deals, freebies, and money-saving tips and advice, what on earth am I going to do with all the other topics I’m passionate about and want to write about??? These are the things I’ve been thinking through, pondering, asking people for counsel on, and praying about for many months. Actually, it was most of 2016! I’d come up with ideas and what I thought would be a solution, but then I’d quickly realize that it just wouldn’t work longterm. So then I’d start over again. 1. It’s time to re-focus December212012.info back to its original purpose. Starting today, this blog will only be a place where I’ll be sharing things related to saving money/earning a little side income: great deals, freebies, money-saving tips, free ebooks, frugal living inspiration, money-saving recipes, ways to earn a little side income, grocery shopping trips, frugal family fun, and much more. I plan to share at least 2-3 posts of my own here each week, feature a few guest posts. If you are interested in contributing a guest post, you can read our guidelines here and submit your post here. The only non-money-saving posts will be my Sunday Peek Into My Life posts. I thought it’d be fun to include those to change things up a little and for me to have one place per week to share a little of what is inspiring me, what I’m reading, links I’ve loved, pictures from our week, etc. Want to know my favorite deals every day? Follow my that I personally curate and post to each day. 2. It’s also time to give myself permission to start some new blogs. After much thought and counsel and contemplation (and making sure that I’m not biting off more than I can chew! ), I’m ready to let you know that I’m launching two new blogs in 2017!! YourBloggingMentor.com will be a blog dedicated to inspiring and educating beginning and intermediate bloggers find their voice, increase their income, and broaden their impact. CrystalPaine.com will be my very personal blog filled with practical advice for the everyday woman on topics of faith, family, fitness, and fashion. Each of these blogs will just have one post per week, mostly written by me. I’m excited about the opportunity to offer specific niche blogs so that you can subscribe to the topic(s) that most interest you and don’t have to come here to wade through lots of content that isn’t related to you or helpful to you. I’m also excited to have a place where posts that I put a lot of time and effort into don’t get quickly bumped down by new deal posts. Note: The blogs aren’t live yet, so in the mean time, while we’re working behind the scenes to get these blogs set up, if you want to get my weekly personal email newsletter, sign up here. You can also or . We’ll be sure to let you know just as soon as these blogs are up and running. Our goal is that they will be live by the end of March! I’m SO excited and can’t wait to see what the future holds! Thank you, again, for being with me on this journey. Thank you for the opportunity to serve you. It’s my heart’s desire and goal that by making these changes, it will allow me to serve you in a more organized, streamlined, and helpful manner! How incredibly exciting?! I can feel your enthusiasm jump off the page! I’m looking forward to traveling with you down these new roads. I love this idea! Money saving tips are what initially brought me to your site, and over the years I’ve implemented many of the ideas shared here. Overtime I found myself coming here more to read snippets of your life and hear you share your passions and words of encouragement than I did the daily deals, so I’m thrilled you will have blogs strictly dedicated to these things! Looking forward for what’s to come and cheering you on! I am so very glad that you will be continuing blogging!!! Getting my Bloglovin subscribe trigger fingers ready! I’m looking forward to this! I hope to see some more of the We Paid Cash posts on MSM. I really enjoyed those guest posts and I could use the encouragement as we are trying to save money for new floors in our home. When we get them done, I’ll be sure to write a post about it! I miss those posts too! They were so inspiring! I’ve been eagerly awaiting this post since you’ve been hinting at it! I am incredibly excited for all three of the new blogs, all sound like ones I will for sure be signing up for and I’m sure devouring as I do everything you write! I’m really glad for you also that you have reached a place in your life and on your own journey of rest where you have come to this conclusion of knowing and courageously truly pursuing what you are passionate about. I’ve been so inspired and impacted by you over the years, I’m really really looking forward to these changes you are making. (I don’t think I’m able to fully convey the amount of excitement I feel about these changes in this comment lol but I’m trying so just know as a reader here I have a GREAT feeling about this direction you are going!). Looking forward to March and the announcement of the new blogs being up and running! I also like that they will be one post a week, enough to be inspired with and think about and implement but not information overload. Congrats Crystal and I’ll be cheering you on (and reading along) on your new ventures! I’ve really been enjoying your posts & updates Crystal! Excited for you! Once a week is how much I typically write on my only blog & it’s a great pace for me. I’m happy to see you doing your own new blogs as a slow, manageable level. Looking forward to seeing your sites develop! Yes, I’m excited about focusing on quality not quantity of posts and having a much quieter pace in blogging to allow for deeper engagement! Great ideas – I am cheering you on! Hi! I am a long-time reader, a fellow blogger (contributor to your grocery database thing) and a recent member of your first blogging course. I’m sad that you are going narrower on this blog as one reason MS has stayed in my reader all these years and every. other. deal. blog. has been abandoned is that there is personality and connection here through those other things. As a blogger myself I have found your ability (what seemed like a freedom, but now I see you found it difficult) to stray from your core a bit and know that the readers here love the life you share from a money-minded perspective. I have purposed to emulate that in this coming year on my blog by broadening my tag line so I can talk about a broader scope of things in that one place. I absolutely understand why you’ve decided this, but I hope you heard from readers that this is an actual issue and it isn’t just a result of having heard “marketing experts” talk about the value of tight brands and such because deal blogs are a commodity, but this piece of the internet is much more than that simply because you’ve allowed us into your life. I agree! I probably won’t come to MSM as much and randomly see some deal posts if there are no longer personal posts from Crystal- that’s what I came for! Ha! I rarely ever pay attention to marketing experts as most of their advice just doesn’t work for me. I heard from a LOT of readers — dozens and dozens and dozens (maybe hundreds??) over the course of the last 5 years — which is why I’m making this change. I wouldn’t have considered it had not so many people suggested something like this and said that they don’t read this blog for the deals at all and only read it for X and wished that I would include more of Y and hate having to wade through all sorts of posts that don’t apply to them to find what they were looking for. It’s also for me personally so that I can be more organized and have more of a solid plan. And so that people can know what they are getting when they subscribe or follow a blog. 🙂 I’m hoping it’s a way that I can serve my readers better. Looking forward to the upcoming changes!! I’ve been a reader for 5-6 years, but less frequently over the last couple years because of the extra and varied content that does not interest me. Yes! I so agree! 🙂 I’m super excited to have some quieter places on the web to call home and to have a more organized set up for blogging! Crystal, I am so excited for your new ventures! I am just working on my blog myself and will anxiously awaited your blogging website, as I’ve been soaking up information on this topic. Just today I was watching one of your previous scopes on YouTube to learn about building my email list. I got some great takeaways! Thank you so much for everything! Aw, thank you so much for your kind encouragement!! Sounds reasonable to only post what’s relevant for the website purpose. Can you go into more detail on what will be on each website? I enjoy the goal setting and book reviews. Will this be on your personal website? We’re working on getting content set up and scheduled on the other sites over the next 6 weeks… I don’t want to promise anything 100% specific there until I know for sure. But I should know more soon! The goal posts, your week in review, and following you make things from scratch have always been my favorite. Don’t get me wrong, I have taken advantage of many deals that you have posted, but your goal posts have always motivated me to keep with mine. I was sad they were missing this past year. I’m excited to be bringing the monthly goal posts back after taking a break for the Year of Rest. It was good to take a break, but I’m so ready to be back to more goal-setting! Crystal, I’m so happy for you! I’m a long time follower (not a blogger) and see how these new ventures will let you blossom! I looked forward to seeing them in March and wish you God’s Blessings on this new venture. How exciting! I’m looking forward to reading ALL of your blogs! I love this idea! It makes it easier for us to find the posts on topics we want to read about (I want to read them all, haha!). I’m so excited to read your new blogs. I’m glad to hear this! Best of all worlds! I am happy to see more money saving tips as that was my favorite part. Although I have LOVED watching your babies grow along side mine! Congratulations Crystal! That’s one wonderful news. I’ll be following your 3 new blogs as well. I have loved through the years that I had one place to come and I liked that it was broad with many topics. It was like a grocery store where you could pick & choose what you wanted to read though I read and enjoyed everything. I can understand why you want to do this but I had loved the way your blog had developed over the years to be broad with different topics and most of them very appealing to a mom’s heart and concerns. I agree. Even though I don’t always read all the posts, it is easy to scroll through quickly to what I want to read. As a busy mom, I’m not sure that I will have the time to visit different websites. Your website and Pocket Your Dollars are the only two blogs I visit regularly. What I have loved about your website is that I get the money saving deals, the book recommendations, and the encouragement all in one place, and I’m disappointed these will no longer be all available in one place. Clearly you are very excited about the changes, and I hope it goes well for you! I totally understand your rationale for this change. I’m especially looking forward to reading your blog about blogging! 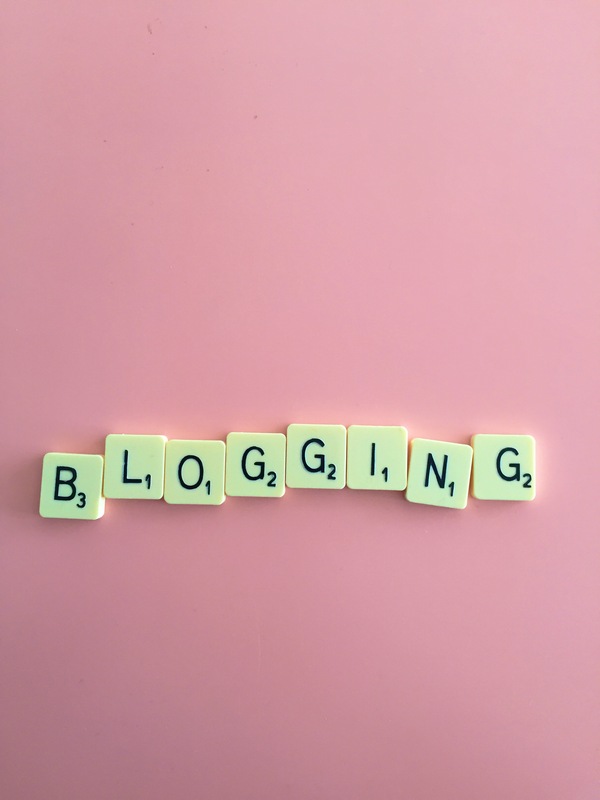 I’m so excited to have a dedicated place to get to share more about blogging! I’m very excited to hear that MSM will focus back on frugal living and deals. My husband and I are struggling financially and I need the practical suggestions. I’m also excited for the 3 new blogs. I had noticed that MSM was getting to be very broad, almost too broad. I think having designated blogs will streamline everything. I totally agree. I am very excited about the upcoming changes and it being more focused. Yay! I’m so glad! And thank you for your encouragement! How exciting! I’m on such a big frugal kick right now that I look forward to this blog getting back to the basics. But I know I’ll be peeking in at those other blogs, too. I always love your thoughts on slowing down and being purposeful. Happy New Year! I’m still around from … Biblical Womanhood? It’s been long enough that I’ve forgotten. 🙂 I was just mentioning frugal Fridays the other day. Looking forward to the new changes! Whoa! Thanks for being such a longtime reader!! awesome! I would love to see more post on the ‘we paid cash series’. Love, love, LOVE this news! As someone who entered into a difficult financial season a few years ago (and is still working through it), coming across your blog in 2013 gave me much needed help and hope. But, yes, I had noticed that it didn’t seem as much about money saving lately and I wondered why. I am so glad to hear that MSM will be refocused but I’m also glad that you will continue to pursue your other passions. I fully intend to subscribe to your other blogs as well. You have much to offer! Many blessings to you on these new endeavors! And, I can see from just these responses, so much mixed feedback you will endure, but I feel this is a positive move for you. Can you share the Farmhouse Chicken recipe ? I have looked in the recipe index for it and can’t find anything. We eat a lot of chicken and I am always looking for new ways to prepare it. Thanks !! What’s a few more blogs in my feed reader!? Congrats! I’m looking forward to them and maybe hoping to get a bit more blogging insight from you on your dedicated blog. Yes! We’ll make it super easy to subscribe! Wow! Congrats, Crystal! You rock! How exciting! I’m glad you’ve found a plan that will work for you. I know we’ll all enjoy reading. It’s funny to think how much I’ve changed as a blog reader over the time you’ve changed as a blogger — and it sounds like others feel the same way. I don’t read as many deal sites, but I’ve loved getting to “know” you better. Been a lurker reader for most of the 8 years I’ve been reading the blog-or should I say blogs, because I remember the older 2! I am so excited you are doing this. For a long time after our 3rd child was born 2.5 years ago I subscribed only to the “lite” feed because I wasn’t actively deal seeking. A few months ago I decided it was time to save money on certain things again so I subscribed to everything. I think there’s room for it all, but it is nice to have them separate! Looking forward to the new blogs and can’t wait to subscribe! Thanks so much for sharing and for your encouragement!! Yay! I’m happy you found a solution that makes you happy. I’d like to suggest that the sneak peek posts be on all blogs at the same time. It will allow for continuity and they will “cross-sell” (if you will) the other blogs. As someone who will probably read at least 3 blogs, it will be nice to find the sneak peek wherever I might go. Thanks for reading and God bless! I’m so happy about this! I’ll probably follow two of your four blogs and not the other two and will be able to see more of the content I come here for. I’ve been a reader since shortly after I got married seven years ago and I look forward to what the future holds for you and your blogs! Thanks for all your hard work. I’m not a blogger nor very computer savvy but surely you can put links from MSM to your new sites so it will still be very easy to almost one stop shop with Crystal and all her interests, right? Exciting, Crystal! Happy new year! Hi Crystal, long time lurker here… I’ve often wondered why you don’t let readers ‘select’ what content they are interested in. I am in Australia so your deals have no relevance for me but I like reading the encouraging stories and hearing about your life – it would work really well if I could choose these areas. Have you considered this? I fear that you will lose people by separating the blogs out. I am so EXCITED about this! I am a loooong time reader who occasionally comments. It’s going to be like getting to choose which genre of Jo that I want to read with my coffee. When you first hinted about change I was skeptical, pouty and inwardly whined to myself, “I like it just the way it is and I don’t want it to change.” I am so sorry. I should have trusted you more than that, Crystal. Thank you for being who God has called you to be and thank you for all of the encouragement that you have given us over all these years. I think this new venture is going to awesome!!! Good for you too! Now, you can be as focused, intentional and creative as you want to be for each type of reader that you have. God bless you and your family. Sounds exciting! What about ereadergirl? Do you still own that blog? I’m really happy to hear you’re starting a blogging mentor blog. You’ve become a top blogger, and many of us would love to learn more from you. I discovered you on Audible, by purchasing your, “Getting out of Survival Mode” book, because I was in burnout mode at a job I couldn’t stand, and felt stuck. It was exactly what I needed. Although you didn’t go too heavily into blogging, just talking about what opportunities it’s given you lit a spark in me. Writing was my childhood dream. When I grew up, I thought that’s all it could be and I needed to go for the money and a guaranteed paycheck with benefits. I fought hard to climb the corporate ladder, and it didn’t fit me at all. It took a huge chunk out of my health and relationships. Just saying that you made a career out of blogging was like you gave me permission to follow my dreams. And I am. I’m not a mom, and I’ve never been a coupon clipper per se. I shop at Walmart, Ross and Winco (if you don’t have them where you live, Ross sells irregular clothes or ones that didn’t sell at other stores and Winco is a warehouse grocery store, where you do your own bagging). That’s it. So, I’m glad you’re doing a blog mentor blog, because I want to hear what you have to say to say about it! Crystal, from the bottom of my heart, thank you for introducing me to blogging and showing me that there hasn’t been a better time to be a writer, with all the options to have diversify income online and to self publish on Kindle, Amazon and Audible. I look forward to your blogging mentor blog! Aw, I’m so proud of you!! And thank you for your kind encouragement!! REALLY excited for you. I have never met anyone who gets so much accomplished! I am so glad to know you and learn from you! I already love your books and blog, and it sounds like there will be even more to love in 2017! Thank you for all that you do…I am so inspired by your example and I have learned so much from you. I really admire what you do. I believe in life there are times where we all should ask the question why do we do what we do and are the motives pure. I know recently in my job I got a promotion and to me it was not about money for me it was about being the example others can see where hard work pays off. I am glad that you came to a point on what is important to you. Keep up the great work. Aw, thank you so much! I’m excited, too! Thank you very much for your inspiration and much success with everything. Thank you for showing me, how thriving and successful one can be.